A passion for chemical science and a brain for engineering merge to form the unique and challenging environment of chemical engineering. This highly specialized and niche-field arena of academia combines physical sciences and life sciences with a comprehensive understanding of mathematics and economics. Chemical engineering undergraduates may find themselves studying in courses as diverse as business, molecular makeup, manufacturing, design, and factory processing. The big picture goal is converting basic chemical structures and single materials into efficient and valuable products. Prospective students will be pleased to know that chemical engineers with a Bachelor’s degree carry the highest pay of any engineering discipline. Chemical engineering degree-candidates are not limited strictly to jobs in the oil and gas industry, though many graduates do choose to pursue jobs in these fields. There is a wide variety of opportunities for chemical engineering graduates, including work in research and development, the environmental field, design processes, entrepreneurship or even the possibility of continuing on to medical school. There are a number of professional organizations devoted to the support of the future chemical engineers of America. These groups provide many scholarship, grant and internship opportunities for deserving students who are members of their organizations and are full of career and academic promise. Additionally, quite a few public and private colleges and universities have built-in funding for their best applicants who are devoted to the field of chemical engineering and are outstanding among their peers. The Donald F. and Mildred Topp Othmer National Scholarship is awarded to fifteen students each year who are members of the American Institute of Chemical Engineers. The scholarship award is for $1,000 and recipients are chosen based on their academic achievement as well as for their contributions to their particular student chapter. Only one nomination from each chapter will be accepted and must be from a Student Chapter Adviser. John J. McKetta Undergraduate Scholarship is awarded to an undergraduate chemical engineering student, juniors or seniors only, who plan to have a career in the chemical engineering process industries. The monetary award is $5,000. They should have at least a 3.0 grade point average and submit an essay outlining what their career goals are. Two letters of recommendation are a prerequisite, with one being from their local student chapter adviser of the American Institute of Chemical Engineers and the other being from a professor. The EPA P3 Youth Council on Sustainability Science and Technology Award is the product of a partnership between the AIChE’s Institute for Sustainability and SustainUS. The prize is $1000 presented to a youth team who displays the most innovative teamwork and interdisciplinary sustainability ideas at the National Sustainable Design Expo. Students wishing to get involved should see the AIChE’s website for more information. The Southwest Chemical Association is smaller in size than the AIChE but equivalent in support and motivation towards encouraging the younger generation of engineers. 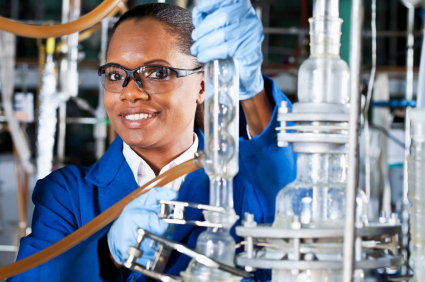 SWCA offers several scholarships to its most deserving member chemical engineering students. Ten scholarships at $5,000 each are awarded each year to academically gifted college students attending a university in the southwest region of the United States. You must inquire about scholarships with the association in order to receive the scholarship information. Application information is available online, and requirements include the maintenance of a 3.25 GPA, membership, and an essay. A general chemical engineering scholarship is made available to any full-time undergraduate who is both continuing their education from a previous semester and able to demonstrate financial need. Grade point average must be at least a 3.0. Scholarships are based on availability if funds, but the general rule has been $600 per year. The Copolymer Rubber and Chemical Scholarship is awarded to an undergraduate full-time student in financial need that is majoring in chemical engineering. The grade point average must be a minimum of 3.0. Based on fund availability, the scholarship will typically be around $600 per year. Petroleum giant, Chevron, sponsors a scholarship which is geared toward a junior or senior with a major in chemical engineering. Full-time students must demonstrate financial need and have at least a 3.0 grade point average. Monetary awards are typically $600 per year. The Eastman Chemical Company sponsors a scholarship geared toward senior chemical engineering majors who are especially financially disadvantaged. Eastman Scholars must have a grade point average must be at least 3.0 and students must be citizens of the United States and be ranked in the top 10% of the class. Based on available funds, the scholarship is usually $4,000. The Frederick G. Weed Graduate Chemical Engineering Scholarship Endowment Fund is aimed toward undergraduate students attending school full-time who show financial need, high academic achievement and demonstrate leadership. The monetary awards differ from year to year. The Professor Ernest B. Drake Scholarship is geared to full-time junior and senior students majoring in chemical engineering. A 2.5 minimum grade point average is needed as well as leadership qualities and a display of financial need. Dollar amount varies from year to year. The Janson Guzik Memorial Scholarship is for senior chemical engineering students with outstanding leadership qualities and a 3.0 grade point average or higher. The monetary award is based on availability of funds. MIT in Cambridge, Massachusetts indisputably has one of the best chemical engineering programs in the country, offering top-of-the-line undergraduate and graduate degree programs. While the tuition for the Department of Chemical Engineering is certainly expensive, their admissions process is need-blind. This means that if you are accepted into the program purely on the basis of your application, academics, and extracurriculars, they will make it possible for you to attend the program – with scholarships and grants – regardless of how much you can contribute financially. This is a fantastic opportunity for the chemical engineering student who is miles above their peers but needs monetary assistance to be able to afford a quality education. For graduate students, there are fellowships, research and teaching assistantships available with generous stipends. The Department of Chemical Engineering at Virginia Polytechnic in Blacksburg, Virginia offers about twenty scholarships to its undergraduate students who have taken at least one course in chemical engineering and are officially on a degree track in the college. These awards range in amount and requirements, but all may be applied for at one time using the convenient online scholarship application. Texas A&M in College Station, Texas is home to the Artie McFerrin Department of Chemical Engineering. A large number of scholarships ranging in award amount from $1000-$6000 are given out each year to those students who show the most stunning academic promise and well-rounded success, along with leadership and demonstrated financial need. Some of these awards are renewable, while others are only for a single year. One application may be used to apply for all of these valuable prizes at once, and students may apply online. Auburn University in Auburn, Alabama houses the Samuel Ginn College of Engineering. Students applying to the school for chemical engineering are eligible for a host of about fifteen different scholarships that vary in award amount and prerequisites. Academic performance is the primary consideration in the doling out of these scholarships, followed by student background and other qualifications. Freshman and transfer students are eligible for some of the awards, as well as upperclassmen. Interested students must first apply to the Samuel Ginn College of Engineering. Don’t forget to use organizations like the American Institute of Chemical Engineers as a major resource for scholarship news and new opportunities. In addition to the three major scholarships we mentioned above, they also host other non-traditional contests and internship awards, like the Chem-E-Car Competition Award which awards between $100-$2000 to students who design a chemically powered vehicle. Minorities, in particular, will also want to check out the offerings of the Minority Affairs Committee which gives out prizes to members of AIChE who display leadership and model behavior. The American Chemical Society, which is able to boast the title of World’s Largest Scientific Society, may also be able to offer some scholarships in the field of general chemistry and engineering, and will be a helpful resource to students seeking information about well-respected academic programs in the niche of chemical engineering. For example, the ACS sponsors the Scholars Program which awards minority students who are entering a chemistry study with $5000 towards their education. The National Society of Professional Engineers is another organization of the same caliber that has scholarships for its member students, including those in chemical engineering, who display significant achievement.